Homesteading in the suburbs is not yet commonplace, but the practice is now deemed more socially acceptable and less frowned upon by at least some homeowners associations. It’s possible to turn a suburban home and backyard into not only a homestead, but a true survival homestead, but keeping it a secret will be very difficult and you shouldn’t… not entirely, anyway. Operational security will mean two entirely different things for rural and suburban survival homesteaders. 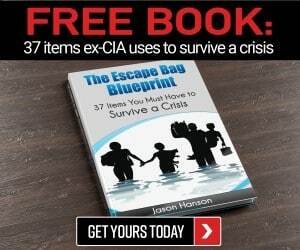 Neither type of prepper will even want to share details about how many guns, ammo, or buckets of long term storage food they have – or worse yet, where they hide. But, suburban survivalist homesteaders will simply not be able to keep their neighbors from seeing how well equipped they are after disaster strikes, one of the major downfalls of having neighbors. Do not fret over what you cannot change, you will need to get as many neighbors on board as possible to protect what you have, to button down the neighborhood and keep it safe from outsiders desperate for food, water, and shelter. Rural regions are, of course, the best locations for a homestead, survival or otherwise, but sadly, not everyone is fortunate enough to live in such freedom-loving, bucolic, and basically crime-free areas. If you cannot move to a rural area (your probably could if you learned how to get flexible remote work and did not need to live near specialized medical care, but that is a topic for another article) that really shouldn’t deter you from preparing for disaster scenarios, but using every last inch of available space in suburbia wisely. The threats posed by marauding hordes are far more present in suburban areas than rural regions, but near-city dweller are at least somewhat removed from densely populated urban regions, where crime is problem during good times and will quickly turn to violent civil unrest shortly after a long-term disaster happens. 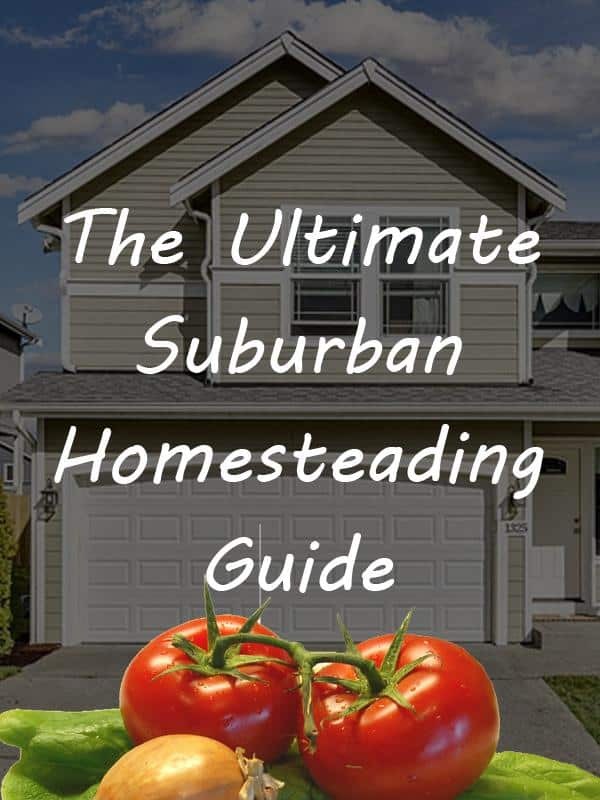 Suburban homesteaders who aren’t necessarily preppers, have proven you can provide almost all of your family’s needs even when living on only 1/10th of an acre. In addition to the concerns of rural homesteads, suburbanites mustn’t just focus on the immediate civil unrest factor, but also on the re-stabilization of their immediate area post-SHTF. Our society will become violent, desperate, and weak both during an after an apocalyptic disaster. When the rule of law disappears, street justice will reign supreme. As hope for the arrival of government assistance dissipates, panic and anger will be the primary emotions and responses by the unprepared. 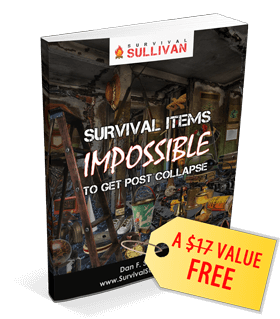 Giving in to the most primal instincts will guide those who cast aside or mocked the “prepper” concept – making them extremely dangerous to the security and sanctity of the suburban neighborhood where the survival homestead is located. Networking with your non-prepper and non-homesteading neighbors now will help form the building blocks of a SHTF neighborhood watch and pseudo prepper compound. Even though you can disguise the survival nature of our suburban homestead now, after the doomsday disaster hits, it will be quite obvious that you are the only one in the cul de sac with water, food, and power. While still guarding the inner-workings of your homestead, at least initially, you must reach out to those in the cookie cutter homes beside you to coerce them into engaging in some type of sustainable and security-minded activities, themselves. Even though we haven’t had the violent riots, looting, and burning of both private and property since Barack Obama left office, the images of the civil unrest we all watched unfold in the news are still vivid in our memory. Use those incidents to rekindle the apprehension suburban residents felt when the so-called protests were spanning nearly nationwide. During times of strife, Americans have always banded together, be it a short-term power outage, a tragedy in a small town, or a national terrorist incident which enhances our feelings of patriotic duty. That same type of feeling and action throughout your neighborhood will be necessary to keep your survival homestead safe, you simply live too close to others to prevent the looting of your small piece of land, otherwise. • Start or get involved in your neighborhood watch. Guide the group to think beyond present day small threats. Although this process may take weeks or months, you will likely find neighbors who already share your larger security concerns, but have not broached the topic officially at neighborhood watch meetings. • Actively recruit new members into the group and develop a full communication system that involves both low-tech and high-tech methods of contacting everyone in the neighborhood, including a “secret code” to use when speaking on radios. • Help create a radio purchasing campaign for the entire neighborhood so everyone will have a compatible device in their home and knows how to use it. Survival scare tactics shouldn’t be necessary for the radio purchasing drive, just simply remind folks about power outages that will leave cellphones drained and signal disruptions during emergencies. • Teach your neighbors to shoot – both guns and bows. You probably cannot go out into your suburban backyard for target practice but there is almost certainly an indoor or outdoor shooting range not too far from your home. Host a weekend hunting and camping getaway on public land that allows hunting or enter into a short term hunting lease and coax as many neighbors as possible to go with you as often as you can. Hopefully, their initial willingness to learn to shoot guns or to perfect their aim, will lead them to getting their concealed carry permit and learning how to reload their own ammo. • How far from your neighborhood is the closest VFW or American Legion? Get to know the veterans in your area (up to 15 miles away) and when comfortable, incorporate them into your suburban homesteading survival “team” along with your immediate neighbors. If they and their families have a safe place to go (your house, even if they have to pitch a tent or park a camper in your driveway) when the SHTF, they WILL be an extreme benefit to the safety of all…and everyone in the cul de sac will be willing to share resources with the temporary residents in exchange for the added safety and security they will provide. • Work with neighbors who are already avid gardeners to help create a neighborhood garden and/or a gardening club. • Taking some fresh produce from your own survival homestead garden, along with some seeds or plants and a printout of how to cultivate the crops, will help entice others to grow some of their own groceries too. • Get to know your neighbors, if you do not already. Is Sue super fond of bananas? Gift her a dwarf banana tree and teach her about growing non-native miniature fruit trees in containers. BRAG on her efforts and share tales of her success with others in the neighborhood. • Invite the neighborhood kids over to help you dig in the dirt to do some planting and send them home with some fresh produce and seed packets and some cheap gardening tools from the local dollar store. • Plant some beautiful medicinal plants in your front yard and then ask the flower experts of the neighborhood over to look at them, you know, the ladies who pride themselves on their own beautiful front yards. Give them each a plant and tell them how they can use the petals, stems, and leaves to treat themselves and their families naturally without buying an over the counter produce with names they can’t even pronounce as ingredients. • Host a farm-to-table dinner and invite over everyone in the neighborhood. Turn your front or back yard into an elegant dining area and serve foods that you have grown and raised yourself. • Spend a bit of time online searching for recipes that show you how to make your own cosmetics using natural ingredients and print the articles out and put them in a binder to give out at a neighborhood event to the ladies and teenage girls – along with some of the ingredients that you have grown yourself. • Develop a community nursery to help others learn how to start seeds, plants, fruit trees, and berry bushes. Creating a neighborhood newsletter to share information, photo, and videos of the newsletter will be of the digital variety, will get and keep folks both informed and excited about the sustainable and “going green” nature of the neighborhood. • Give away attractively packaged fresh and dried herbs to neighbors, along with some seeds so they can grow their own. Type up and out the medicinal benefits of the herbs along with some recipes for using them to make natural home remedies. • Make the most of every inch of your growing space both inside and out by using container gardening, hanging planter gardening, vertical gardening, raised bed gardening, and ground plot gardening techniques. Grow lettuce, onions, kale, and herbs in our windowsills. Your bounty of delicious and colorful crops will be a constant reminder to neighbors about what can be done in a small space to cultivate healthy, nearly free, and readily available food. • Replace all of the ornamental landscaping around your home with edible and medicinal herbs, plants, and crops. Berry bushes instead of green shrubs around the windows will provide both food and security – the thorns will naturally deter snooping and attack! • Host a foraging party and take your friends and neighbors on a hunt around the area for natural items they can eat and use in natural remedies. • If you can keep even a single beehive in your suburban neighborhood, do so. The bees will pollinate your crops and help them flourish and provide honey for eating and medicinal use. As has been noted throughout this report, share your honey and beekeeping experience with your neighbors so they too engage in the same activity – in their backyard or yours. • Are there trees in your yard or neighborhood than can be tapped for syrup? I am sure there are. Maples are of course the best trees to tap, but bar far not the only ones. Start tapping your trees and talk with neighbors about tapping theirs. Rinse and repeat the advice to share the sweet bounty with your fellow block residents. • You have to preserve the food and medicinal crops you harvest, make sure to practice doing it over an open flame so you have mastered the outdoor water bath canning skill before off grid living becomes mandatory. Make simple solar dehydrating boxes (they can double as cold frames for starting seeds or expanding your growing season) and share what your are doing with neighbors, both the process and the finished product. Delivering a Mason jar of homemade jam form the berries you picked off of your own bushes or pickles made from the cucumbers you are growing in the backyard, might entice even the most reluctant suburban neighbor into dipping a toe into the homesteading life. • Start a 4-H and/or a scouting club in the neighborhood for youth of all ages. Unfortunately, Boy and Girl Scout groups no longer focus primarily on outdoor skills, but alternative spin off scouting groups formed largely by former Boy and Girl Scout leaders, exist and are eager to welcome more Americans into the fold. Some of the top traditional scouting alternative groups include: American Heritage Girls, Frontier Girls, Trail Life USA, Camp Fire Boys and Girls, and Navigators USA. • Show off your silent and portable solar power generator. When even a brief power outage occurs, do not hide your own lights and powered activities. Shine like a bright survival star for all the neighborhood to see…and covet. When a doomsday disaster happens and all of your neighbors are home and the block is silent, there will be no way to hide the fact you have a solar generator and light because your neighbors are located so close to your doorstep. When more people in your immediate area also have power, they will not only be less likely to try to steal your generators, but will help shoulder the burden of providing emergency power to others in the neighborhood during the post-SHTF community reconstruction period. • Host a luncheon and invite folks in the neighborhood to come eat food you have cultivated yourself that was cooked entirely in a solar oven or over an open flame. • Buy or build an outdoor wood furnace to help power your suburban survival homestead and show it off to your neighbors. Tell them how much money it will save in the long run and how you will be toasty and warm when a winter storm takes out the power for even a limited amount of time. • Take a walk around the neighborhood at dusk with your solar lantern lighting your path and stop and chat about the alternative power source, and how cheap landscaping solar lights from the local dollar store can be used as sustainable flashlights and interior lighting, when the power goes out. Buy a solar lantern for everyone on the neighborhood watch group to help spread the word about the valuable light source as both a way to be able to see when the power goes out and for emergency signaling purposes. • Build a rocket stove to heat your greenhouse and invite others to come see it during social events and group meetings. • Create a copper coil system to recirculate and heat water using your woodstove and share details about how you did it, how much money it will save on your monthly heating bills, as well as how earth-friendly the device is to everyone who will listen. • Create a rainwater collection system, disguise it as an attractive garden feature or planter holder, if your HOA has rules against such sustainable behavior. If you cannot share your water preservation system with others in the neighborhood without getting fined (you really need to move!) this puts you and your family at a distinct disadvantage. If this is the case, buy extra barrels and related supplies and stockpile them to give to your neighbors after the SHTF when the ridiculous HOA rules can no longer be enforced. • Dig attractive garden ponds and stock them with fish you can actually eat, or can be used for bait at a large public pond in the very near vicinity. Show off your pretty ponds to your neighbors and tell them if things (when, really) things go pear-shaped, you will be able to use the water from your pond for human consumption – and tell them how will make the water potable. • Rain water cistern catchment basins are easier to hide from view than rain water catchment barrels. 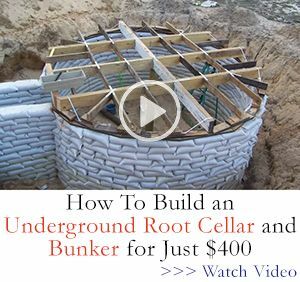 You excavate a trench or pit or make a wood crate and line with plastic sheeting that I then bermed with dirt to give it the necessary durability so as not to tear beneath the weight of the water. A four foot by eight foot by four foot rain water cistern should catch about 950 gallons of water. • Stockpile extra life straws and other water purification survival supplies to share or trade with your neighbors. If you cannot fend off 50 dehydrated and desperate people, the only real way to keep your water stockpiles secure when living around so many homes, is to make sure others have a supply to use, themselves. • If you are involve with a youth group and/or a neighborhood watch group like strongly suggested above, teach them how to filter water and then how to purify it using sand, activated charcoal, etc. • Creating a community cistern cannot happen until after the SHTF in most suburban neighorhoods, perhaps all of them, but if you have a place to stash the above ground tank and siphoning equipment, or scout out a spot of ground to dig the cistern after the doomsday disaster, you will be the king or queen of the cul de sac once the power grid fails and water stops flowing from the faucets. Hopefully you live in a right to farm state and do not have stringent HOA rules against livestock. If you cannot have any type of livestock on your property the only options for a sustainable protein source will be fish in your garden ponds and meat rabbits disguised as pets. • Keeping chicken in even a 1/10th of an acre backyard is not difficult. Purchase quiet chicken breeds so you can sneak in a rooster to ensure the longevity of your flock. Bantam roosters are small enough to pass as chickens to folks who are largely unfamiliar with farm animals. • Fence in your yard so the chickens can free range after the SHTF. They will help keep down the bu population eager to get at your crop and enrich the ground plot growing soil and your compost bin. • If you can keep chickens, you can hopefully keep ducks too, doubling your available source of protein and eggs. If you can only keep one type of poultry flock, choose ducks because drakes (males) look virtually identical to females and do not make any more noise than a hen. • Keep rabbits because even though they do not offer much meat, they are quiet (except when being slaughtered) cheap, and reproduce quickly. • Pygmy or Nigerian Dwarf goat are small enough to live happily in most suburban backyards. The goats are not only a source of meat, but milk as well. • If allowed, create a community chicken coop alongside your community garden – the less desperate your neighbor are for food and water, the safer your family will be…that fact simply cannot be overstated and trumps OPSEC when prepping outside of a rural area. • Bring in the neighborhood children to see the animals, they will go home and talk about them to their parents and hopefully encourage them to begin raising small livestock themselves. Invite your neighbors into a herd share agreement that allows them to keep their little critters on your suburban homestead for their use. • Take your neighbors fishing and teach them how to clean their fish and prepare it over an open flame. • Deliver some goat milk cheese and soap to your neighbors and let them taste or enjoy the natural goodness of the home raised and homemade treats. • Give suburban farm fresh eggs and baked goods made from them – with fruit you have raised on top, to your neighbors to further entice them to raise some of their own groceries. • You probably won’t be doing any slaughtering and butchering in your suburban backyard until the SHTF, but perhaps you can introduce the skill and the tools you will be using with several of your neighbors so they can help with the task – this will be a great topic to discuss and perhaps put into practice on the hunting trips noted above. The more you can get your neighbors involved in sustainable and security-related activities, and help them develop the proper mindset to ride out a disaster, the safer you and your loved ones will be on your own suburban survival homestead. Unless you have a home large enough to house a large mutual assistance group, you will need the help of all of your neighbors to establish and patrol roadblocks into the area to keep the marauding hordes at bay.